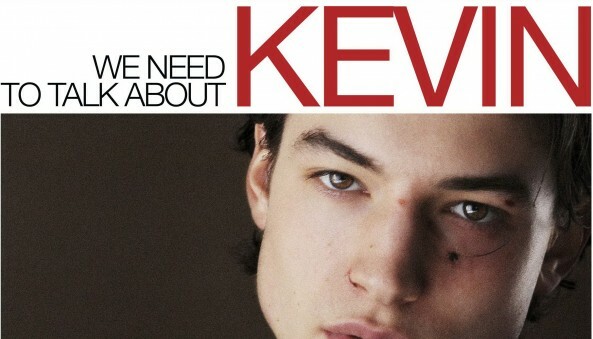 A harrowing portrayal of a fictional school massacre told through the eyes of the long-suffering mother of the boy who commits the crime is the sensitive subject matter for “We Need to Talk about Kevin” (2011). Based on a novel by Lionel Shriver that I am unfamiliar with; as a film “Kevin” grips the audience from the beginning and leads us on a dark journey of events that unfold prior to the fateful crime; in order to comprehend the “why?” and “how?” both for us and the character of Eva-his mother . 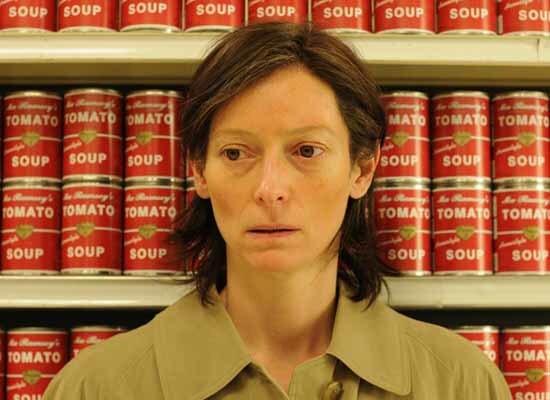 The film’s strength lies within the compelling performances most notably by Tilda Swinton who plays protagonist Eva; she creates a relationship of empathy between her character and the audience as throughout she struggles to connect with her first-born and only son Kevin. Her motivations are justified given her difficult situation as the film demonstrates that its not always the fault of the parental figures and it can happen to just about anybody; it was an interesting choice to portray the parents as hard-working and middle class in comparison to depicting a stereotypical “white trash” scenario. From Kevin’s early years it is evident that Eva tries her best in order to engage with her son to no avail and doesn’t give up trying. The film cleverly implies visually that the blood lies on Eva’s hands as she bears the consequences of Kevin’s actions, technically she created this monster and in a sense is depicted as “responsible”. The opening shows her drenched in tomato sauce along with later in the film images of her washing red paint off her house which creates a very striking and symbolic effect. The fleeting moments in which Eva “connects” with Kevin ultimately emphasise her responsibility in the ordeal as she reads him the story of “Robin Hood”, seemingly innocent, this foreshadows the dark events to come in his later life; culminating so many questions relating back to the “why?” and “how?”. “We Need to Talk About Kevin” also deserves praise in terms of how it sensitively deals with its issue through the cinematography and direction; the tone is disturbing without the actual violence being shown. Ezra Miller (who plays the older Kevin) and Jasper Newell (who plays him as a toddler) performances are unsettling enough placing the audience and Eva on edge throughout unknowing when he’ll snap while at the same time keeping a sense of hope that he will change. As a whole “Kevin” is a very well-crafted psychological film, dealt with sympathetically and portrayed through an impressive cast who illustrate lack of communication and the breakdown of the family- which ultimately is the scariest element. Definitely not for the faint-hearted. After becoming impacted by the film I will definitely be putting the novel on my Christmas list. When “Supernatural” gets more surreal than usual, fans know they’re in for a treat! 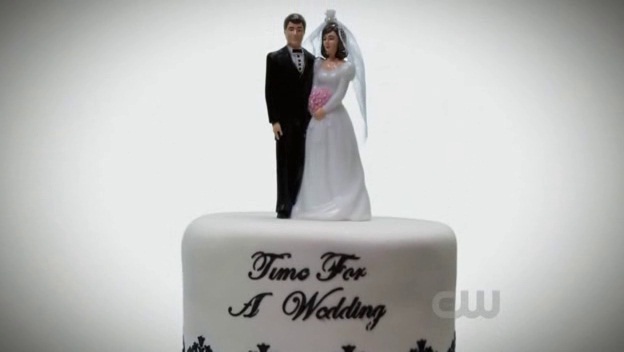 “Season Seven, Time for a Wedding” (#7.8) does exactly that. 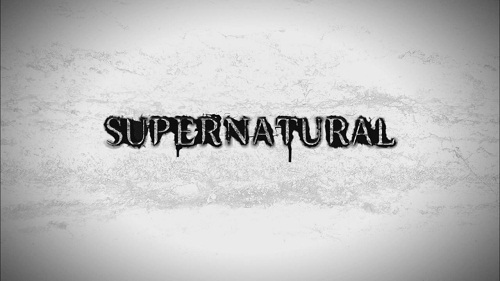 The episode title is tongue-in-cheek and ironic; continuing the notion of placing the “Supernatural”-verse into a real-life context or a meta-fiction/reference, intelligently demonstrating how self-aware and referential of itself the show is. This sub-plot within the show began back in season four with “The Monster at the end of the Book” (#4.8) where Sam and Dean discover there is a series of books based on all their endeavours that has a small cult following , “The Real Ghostbusters” (#5.9) came next and poked fun at fan fiction and conventions; and then there was the previous season’s “The French Mistake” (#6.15); where Sam and Dean actually discover that they have been on a Television show the entire time and are really played by two actors named Jared and Jensen! 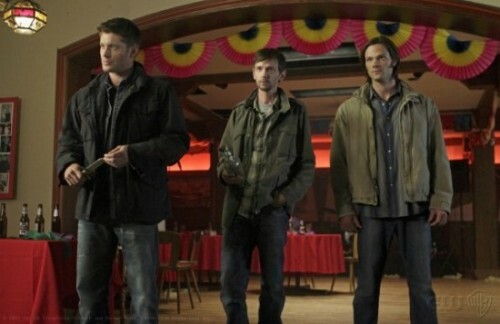 Thus far “Supernatural’s” seventh season has featured a great balance of horror, comedy, surrealism, drama and backstory. With the unfortunate demise of Castiel the show has stayed strong and returned to its original roots with some exceptional stand-alone episodes; most memorably the Jensen Ackles directed “The Girl Next Door” (#7.3) and fan favourite “Shut Up, Dr. Phil” (#7.5) that saw a reunion between “Buffy” and “Angel” co-stars Charisma Carpenter and James Marsters. 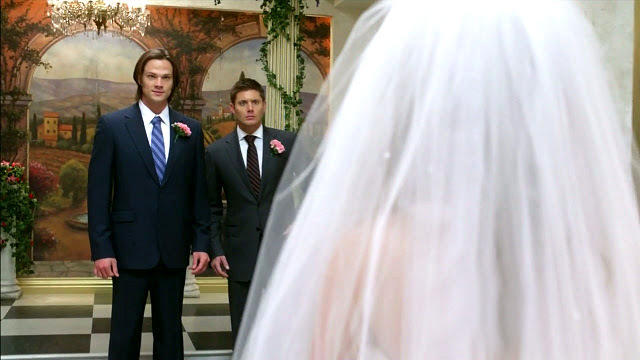 “Season Seven, Time for a Wedding” is the episode that sews up loose ends within the storyline and eventually acts as a re-connection for everyone’s favourite hunters! The episode opens ambiguously with Dean drowning his sorrows in a Las Vegas bar while acting flirtatiously with an attractive blonde. Considering his recent behaviour in terms of avoiding his issues; the audience are almost led to believe that he may be about to do something completely out of character, say get married! However this is not the case as it is soon revealed that Sam Winchester is about to marry his biggest fan, Becky Rosen who made her debut in Season Five’s “Sympathy for the Devil” (#5.1). The tone of the episode is completely perfect for the Seventh Season’s relatively light-hearted approach in comparison to previous seasons darker storyline’s and if anyone is going to wed the youngest Winchester brother there is no one better in terms of a comic context than Becky! Evidently not all is as it seems; Dean’s reactions are priceless mirroring exactly what the audience is thinking along with pure frustration at his brother; whereas Jared Padalecki underplays Sam’s decision well giving a sense that he is actually serious instead of the over-the-top route both the writing and acting could have gone in; further emphasising the episode’s surrealism. One of the most enjoyable factors of the episode is the “old-school” feel the show has returned to, with the standalone, “monster-of-the-week” formula making a welcome return as well as the re-invention of one of the show’s most iconic monsters; the cross-roads demon. It was definitely interesting to see the cross-roads demon in a vulnerable position against Crowley-The King of Hell. His character becomes much more complex as he acts partly on the side of the Winchester’s through his hatred for the leviathan’s following his prior humiliation in an attempt of forming an alliance with their leader in “Slash Fiction” (#7.6); however it still demonstrates Crowley is always out for his own means; choosing the side that will be beneficial to him and using that to the full effect. This sets up some exciting potential of what the rest of the season has in store; and a test for Sam and Dean; will they take advantage of his manipulation?! Its the character-arc’s within “Season Seven, Time for a Wedding” that are most impressive. Dean is in a position of self re-evaluation as he comes to terms with the fact that he is mostly alone. Bobby isn’t around as much, he has suffered the loss of Castiel and on the surface Sam is behaving as if he is “okay” without him and attempting to move on. The introduction of Garth, who even though was an entertaining character still proves to Dean that he is still a strong, determined hunter all by himself. Becky’s character is delved into further, there is a manipulative streak in her which is an unlike-able character trait in terms of how she “drugs” Sam with an elixir in order to get what she wants. However her motivations to an extent are understandable as the writers lead the viewers into her backstory of how she was bullied during high school and just wanted to show everyone that she was no longer insecure, in that sense she is relate-able and does come through in the end reluctantly accepting she has to let Sam go. Throughout the episode Dean is mostly paired with Garth, who was recommended through Bobby while Sam is with Becky; these two characters actually compliment each other well, as both are slightly geeky and act as hindrances to the protagonists. It also shows metaphorically how Sam and Dean are more alike than they like to believe. By the end of the episode the hunters have mostly re-connected. Its unexpected and has more impact that a comic episode supports this idea rather than a darker episode featuring epic fight between them as it uses subtly well. Even though the episode is not the strongest or the best in terms of writing; it still features some great moments and storyline continuity; with a great balance of drama and comedy. Thus far I am enjoying the witchcraft-based episodes in the season as its an interesting direction to take, however I am looking forward to seeing more leviathan’s and the return of Dean’s “baby”- the Impala in future instalments! Quadramania Presents….”Abertoir 2011″ Coverage Prep. We have had a very productive day thus far. The Abertoir Horror Festival will be kicking off tonight at 6pm with a screening of the Vincent Price classic “House of the Long Shadows” (1983); in preparation, Quadramania interviewed assistant festival director Rhys Fowler, who specialises in the marketing field for the festival. Hayley Alice Roberts conducted the interview, asking questions on how Rhys became involved in the festival, his experiences with other film festivals, his favourite sub-genre’s of horror and what he’s looking forward to most this year. Elliot McIntosh directed the interview as well as filmed it, Ben Lee was on sound, while James Moore provided all the making of footage and stills. Following the interview Quadramania as a whole recorded some introductory footage outside the Aberystwyth Arts Centre, to explain to you guys what we’re up to and what’s ahead. We filmed this part of the coverage in pairs and rotated roles, between Hayley and Elliot presenting followed by hilarious double act we like to call “Moore and Lee” giving their spin on things. During editing we are planning on inter-cutting between us to provide you with entertaining and informative coverage.